I really love TeXStudio, but it has one feature that started to annoy me lately. Whenever I want to get more workspace, I start hitting the Esc button. This is a common (among various IDEs) shortcut to a function which is called "Close something", and it basically closes the secondary floating windows one by one. I tried to search the Internet about this, but got only a couple of minor reports that described this behaviour as an "easter egg". IMHO this is a bit intrusive to be an easter egg, so I would be glad if someone told me how to get rid of this. 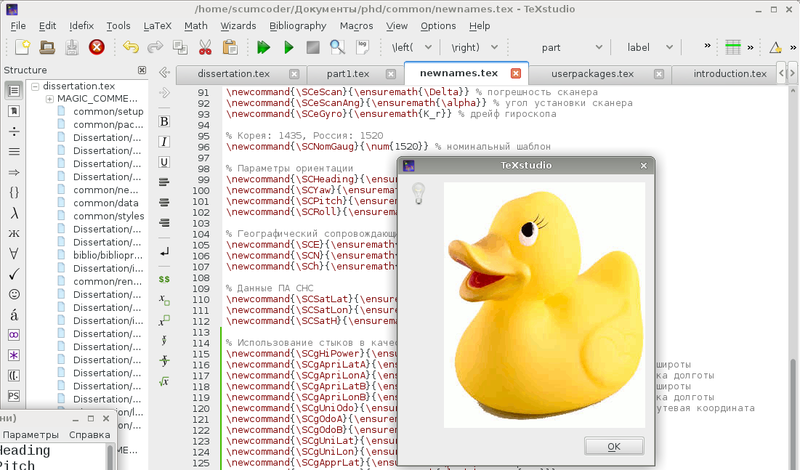 Edit by CarLaTeX: (& KJO) TeXStudio duck has been updated, TikZducks appear now! 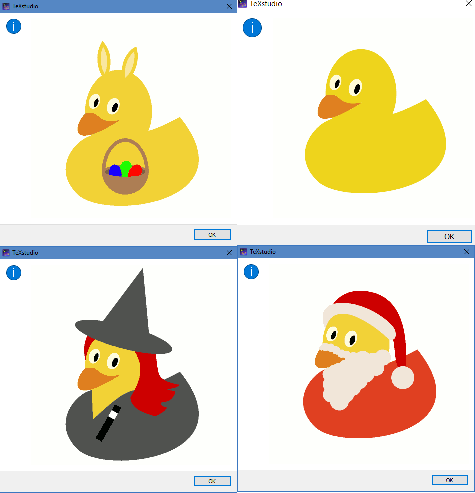 If time/date meets conditions from 1 to 4, and is Easter / Halloween / Christmas you see a themed Duck. Spoiler alert is down to me .ò_ó. see if you can work out which days they will appear. 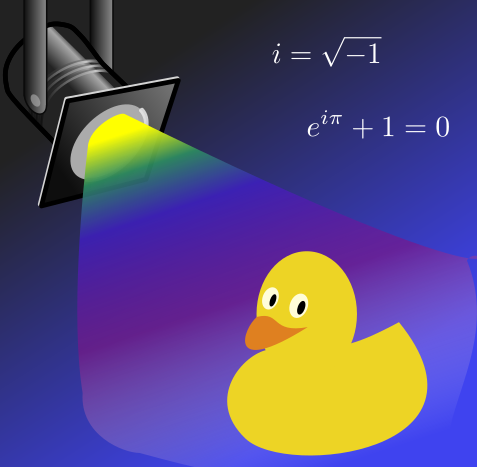 I have to declare a conflict of interests, as of the commit I really cannot support removing this lovely duck! Before this part of code, several cases are handled when the pressing Esc has real effect. If it would do nothing, the quoted code will be executed. the current minute is a prime number. Not the answer you're looking for? Browse other questions tagged texstudio or ask your own question. How to hide the menu at the bottom in TeXstudio? Where's Adv. Editor for me to turn line number on at texstudio? How to use the built-in DIFF feature of TeXStudio? TexStudio PDF viewer moves page down on mouse click - can I turn this off? How can I highlight code in the TeXStudio editor? How to empty the history of search in Texstudio? how to change the language of TexStudio?